The Shield in-line thermostatic mixing valve is designed to eliminate the risk of scalding in health care, social, commercial, public and domestic applications. The valve is approved by the TMV scheme and meets the requirements for a Type 3 valve, complying with the NHS Model Engineering Specification, DO8. 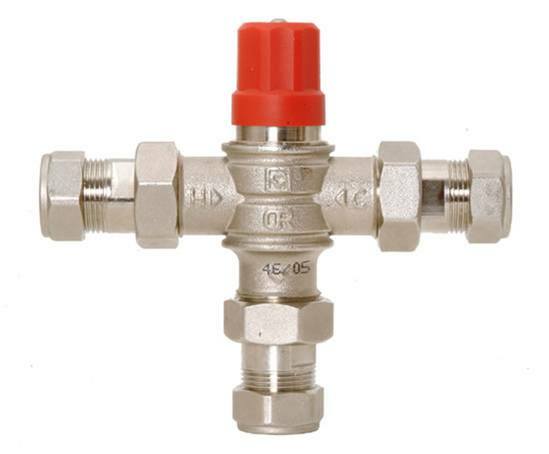 The valve is available in 22mm compression connections as standard, or 15mm using the reducing sets supplied. It is offered with with flat-faced union couplings, strainers and integral, removable check valves. 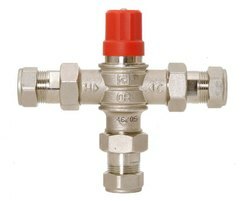 The valve is factory pre-set to 43°C, with a simple adjustment and locking system for each on-site application.